Our pre-owned inventory features reliable used cars, trucks, and SUVs from a variety of makes and models, making it easy for anyone to find their ideal vehicle at our dealership. Not only are our used vehicles reliable, but they are also of great quality and affordably priced. 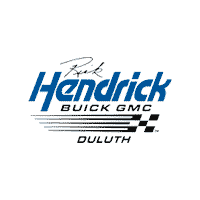 At Rick Hendrick Buick GMC Duluth, we want all of our customers to have the ability to purchase a quality vehicle at a price they can afford. For additional savings, be sure to take a look at our used vehicle specials. If you’d like extra assurance that your used car, truck, or SUV is reliable and of high quality, check out our Certified Pre-Owned Buick, GMC, Cadillac, and Chevrolet vehicles. All of our Certified Pre-Owned vehicles are thoroughly inspected to ensure they are safe and up to date on inspections.